Pierre, 35, lives with his parents on a small dairy farm in eastern France. Living a solitary life, his main concern is his herd of 30 cows. His tranquil life is disturbed when one of the cows contracts a haemorrhagic fever similar to what recently hit the animals of several farms in Belgium and in the south of France. 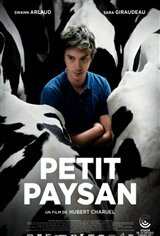 To prevent her from contaminating the other animals, Pierre decides to kill the cow. Reluctantly, his veterinary sister agrees not to declare anything to the health authorities, who would hasten to order the slaughter of the whole herd. But it turns out to be just the beginning of the farmer’s troubles.